Check out these highlights from last night’s episode of 205 Live! 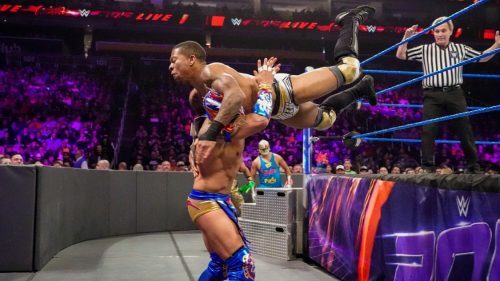 Kalisto and Lio Rush square off in a fast-paced contest to determine who will advance to the Fatal 4-Way Match challenging Buddy Murphy for the WWE Cruiserweight Championship at Royal Rumble. The bitter rivalry between Akira Tozawa and Drew Gulak takes a backseat and a championship opportunity takes precedence as they battle for a chance to compete in the Fatal 4-Way Match challenging Buddy Murphy for the WWE Cruiserweight Championship at Royal Rumble.